We board our coach after breakfast this morning, and end up waiting for a half hour while a couple pull their bags apart in the parking lot looking for something terribly important. Eventually we leave and learn our “Coach Captain” (driver) is called Phineus. He proves to be a very good driver: good-humored, and always on time. Our bus is quite new, very comfortable, air conditioned, and has a washroom and a fridge. As we roll through Pretoria and onto South Africa’s national road system, we can see this is an excellent transportation system, with toll booths on certain sections. The M4 divided highway takes us past Cullinan (some famous diamonds mined here), Witbank (surface coal mining & refining), Middelburg and Belfast (forestry & farming) before we turn off and end up in Lydenburg. Most of us go to Wimpy’s for lunch – a fast food joint, South African style. South Africa is home to the largest man-made forest in the world (140 sqkm). We learn that Pine trees are harvested after 10 years, with the trees growing to 12m high. Eucalyptus are also used in some areas, however they require more water, so they are falling out of favor. We see a steel mill just outside of Lydenburg. Panorama Route – Our first scenic stop is the viewpoint at the Blyde River Canyon, where we can fully appreciate the 800 metre drop to the canyon floor. Across the canyon are the “Three Rondavels”, huge round rocks that look like African huts. 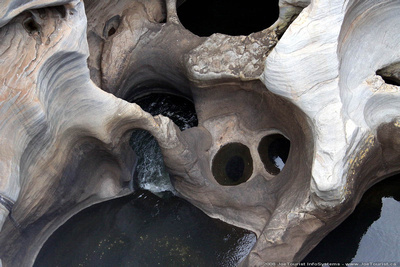 Our next stop is Bourke’s Luck Potholes, where the Treur River has eroded strange cylindrical potholes in the sandstone. 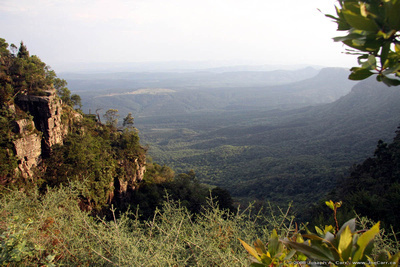 Our last stop in this area is God’s Window, a dramatic vantage point to view the Drakensberg Mountain escarpment with beautiful views of the lowveld, and even Kruger National Park is visible on a clear day. This is where the quirky movie The Gods Must Be Crazy (1980) was shot. We arrive late in the afternoon in Hazyview after our first full day on the road. Hippo Hollow Country Estate is located on the tranquil Sabie River, where the resort’s namesake hippos regularly graze on the front lawn. My cottage is quite luxurious, having a king sized bed on the main floor and two single beds in a loft. My patio overlooks the Sabie River. There are very few mosquitoes, which seems strange with all the vegetation around and the slow flowing river only a few metres away…not that I’m complaining! 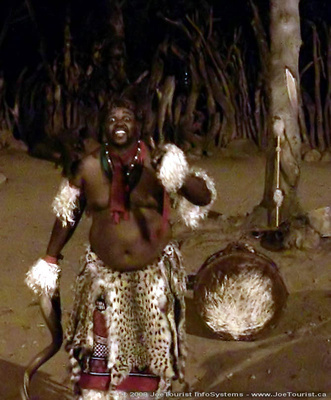 7pm – Shangaan River Club – This is a cultural experience that is staged right on the grounds of Hippo Hollow, consisting of tribal drumming, singing and dancing, followed by a traditional African feast. The chief of the local village is the master of ceremonies, and he introduces his troupe of orphans who sing and dance. He is very animated, talking to us for well over three quarters of an hour before the performance begins. He explains how he is personally responsible for the care of the orphans, many of which are the result of AIDS killing both of their parents. They support themselves by this arrangement with the Hippo Hollow Country Estate, so I’m pleased that Thompsons has chosen to include this performance in the tour. I shoot some high definition video using “night mode” on my Canon HV-20, which works quite well until I run out of video tape! Despite this glitch, I have enough video to capture the event. The feast of culture served buffet style after the performance is very good. There are lots of choices from the usual soups and salads, as well as a nice selection of African meat dishes that are served from traditional cast iron pots. Fruit, dessert, and drinks are also included. This is all served under a massive boma, or thatched building right next to the performance area. It wasn’t just our group who were taking in the feast, however the staff coped with the crowds quite efficiently. All of my group seemed to enjoy themselves, and everyone left the tables fully satiated. JoeTourist® recommends the Shangaan River Club. 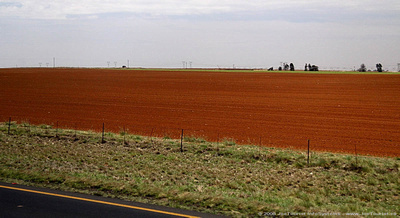 This entry was posted in South Africa and tagged canyon, farming, mountains, river. Bookmark the permalink.